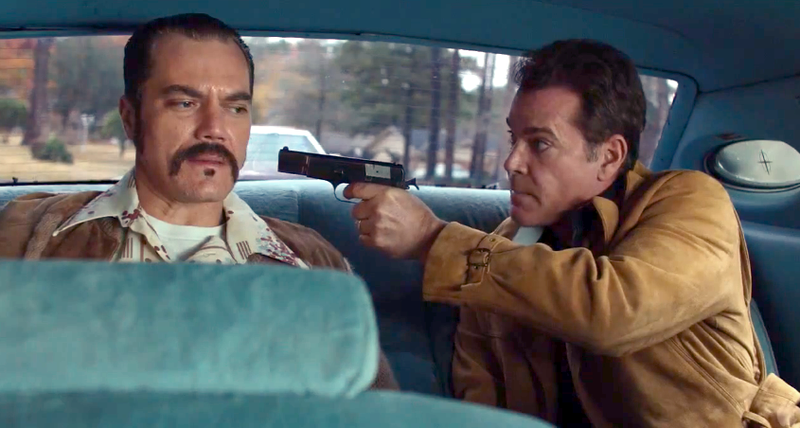 Watching The Iceman, the thriller by Israeli director Ariel Vromen starring Michael Shannon, Winona Ryder and Ray Liotta, one can’t help query the choice of such subject matter as entertainment. That it makes for gripping drama is undeniable. Whether this justifies using a story based on fact and which devastated the lives of so many real people is perhaps more debatable. The film follows New York hitman Richard Kuklinski (Shannon) as he leads two dramatically opposing lives. Outwardly Kuklinski was a successful entrepreneur and loving family man, who gave his wife Deborah (Ryder) and kids all that money could buy. Secretly however he was a cold blooded killer working for the Gambino crime family led by soldato Roy DeMeo (Liotta) – completely devoid of compassion Kuklinski reputedly killed up to two hundred men during a career spanning over thirty years. Inevitably your sins always find you out as they did with Kuklinski, and the film culminates in a devastating denouement for both him and his unsuspecting family. The Iceman is not an easy film to sit through, and if the whole thing had been approached in a glossy, ‘Hollywood’ fashion one may indeed, as mentioned previously, question its legitimacy. This film works however by never trivialising its frequently violent subject matter, nor trying to paint its central figure as some kind of urban antihero. Here was a man who had a passion for murder and made no bones about it. Though undoubtedly (in his own way) Kuklinski loved his family he also enjoyed killing, feeling no remorse for his actions or sympathy for his victims whether they were criminals or innocent bystanders unfortunate enough to cross his path. This sense of realism is an underlying theme which runs at the very core of the film, not only with its hard-hitting storyline, but also in its recreation of inner-city and suburban New York in the period between the 1950’s and 1980’s. An unflinching grittiness, reminiscent of Martin Scorsese’s crime dramas Goodfellas (1990) and Casino (1995), reflects perfectly the violence which lurked beneath Kuklinski’s perfectly constructed lie of an outwardly successful business man with a happy family life. It is this aspect of Kuklinski’s real life which also raises the biggest question. How the perhaps somewhat gullible Deborah (a wonderfully fragile portrayal by Ryder) could have been fooled for so long as to her husband’s real line of work and source of income. Did she genuinely know nothing of his double life or did she turn a blind eye to a truth she would rather not have faced? Shannon’s performance is equally sharp. He is creepily believable as the basically loathsome Kuklinski who not only had scant respect for human life but also little real concern for his wife and family as seen in the danger he put them in and the web of deceit and lies he spun around their relationship. On reflection The Iceman is a film which serves a purpose in two ways. Firstly to remind us of the depths to which human nature can stoop, and secondly as a warning to anyone who thinks they can, quite literally, ‘get away with murder’ and hope that they won’t eventually be found out.